It is an innovative double top cassette with a two control mechanisms. In the one cartridge you can choose between two different fabrics – day and night. According to your needs, you can choose whether to completely dark the room or just to decorate it. 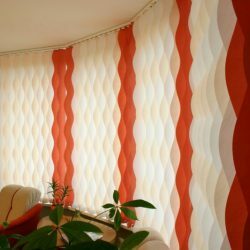 It is also possible to use both fabrics at the same time: both for the room decoration and darkening. Day night – it is a two-layer roller, made from a horizontally striped fabric. 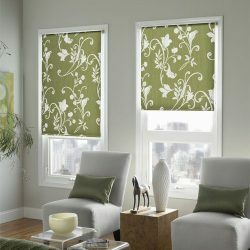 By simply pulling the roller chain, one layer of fabric slips the windows will become darker. Available roller variations – plain or cassete-type; mounted on a window, in a niche or above it. 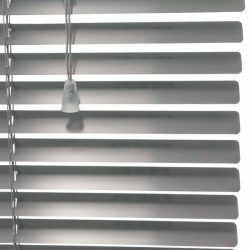 As we increasingly choosing more plastic windows in the house, we are looking for them when it comes to cover them at night and during the day. 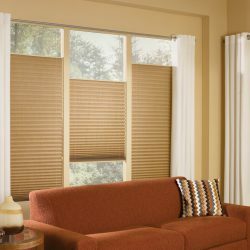 Rollers for plastic windows is a great way to hide from the daylight or from the other people during the night. They are unique, because they are mounted to the window glazing. 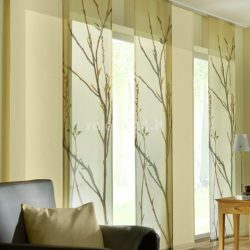 This kind of window covers looks extremely impressive, so it can safely be chosen as the main accent of the room. Choose a good quality picture or photo and we will help you to create an impressive home style. Vertical louvers are used in all-purpose apartments. It is easy to give an elegance and firmness to the company’s office, you will create a comfortable and quiet environment in your home. There louvers softly spread out and regulates the flow of light through the windows and creates a new exclusive interior. There louvers are not only protecting from the sun, but also make a light into an independent element of the interior. The sunlight uses this type of louvers to create a comfort atmosphere and even while they are closed, their shape will make a beautiful figures of light and shadow in the window. 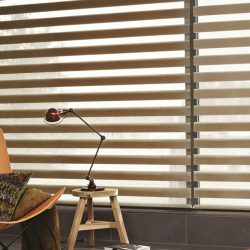 These blinds are easily adaptable, they can be not just a decoration of the room, but also a part of the fantasy of the house. 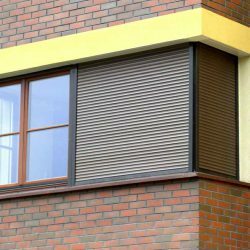 Protectable louvers – shutters are the perfect solution if you want to protect your windows, doors or gates from the thefts or hooliganism. The louvers perfectly holds the cold during the winter. The heat losses through the window will be reduced up to 40%, therefore during the winter the home will be more warmed up. During the summer, with these louvers will be cooler in the room, because louvers will protect the room from the sunlights. Natural wooden strip louvers helps to create an exclusive, luxurious interior. Horizontal wooden louvers perfectly fits with the all interior elements and gives a naturalness. The strips are made of lightweight and a solid wood, covered with a special varnish that protects against the sunburn and moisture. Horizontal aluminium louvers are classical thing. They are considered on the most practical louvers. Lightweight, exclusive, it perfectly adjusts to the minimalist interior of the office as well as perfectly fit and makes a home atmosphere comfortable. Horizontal aluminium louvers covering the room from the sunlight, do not formulate, as well do not attracting dust and dirt and additionally do not accumulate static load. 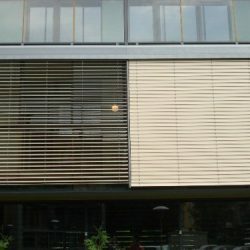 Horizontal facade louvers – one of the most effective tools to protect the room from the sun, because the louvers are mounted on the outside of the windows, reflecting the vast majority of sunlight before reaching the glass. These louvers are easy to operate, to control the entrance of the sunlight into the room. The purpose of the pleated louvers – to regulate an adjust the amount of the sunlight entering the room. These unique louvers are not only enliven, but also creates a stylish and modern interior impression. Panel louvers can have a very diverse, combining even a few fabrics or colours. This louvers creates a special atmosphere in the room, because slippery fabrics overlap. 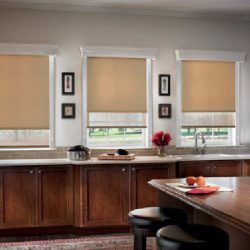 The main function of the sun-blind – to create a shade and the desired a from the shade, the are of which can be adjusted with help of sun-blind. It also perfectly protects you from the rain. 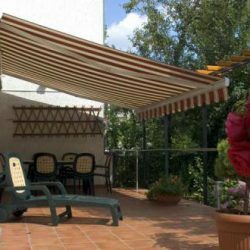 Grids – frames, it is a comfortable protection against the mosquitoes and other flying insects. The narrow and lightweight aluminium frame is mounted outside of the window from the inside, attached by the magnets or brackets to the window frame. It’s easy to install and provides durability and functionality. 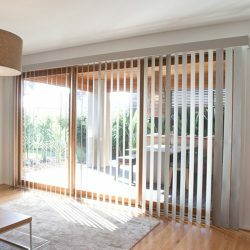 Grids – doors are used to protect apartments from the insects. This is the best solution to protect the home from the insect, where doors are often being open. The insect grid is a solid and durable door frame, made from a solid aluminium profile system, which is not changing the shape and perfectly keeps the tight grip even with when the doors are being very oftenly opening. Measurments – experieced workers of this company will measure the louvers, rollers, sunblind, protective gates, windows at home or office at your desirable time. Installation – installation work is carried out for the all products. 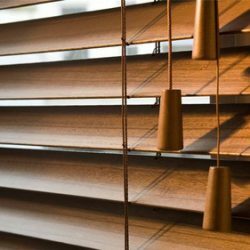 The company’s staff will install, mount the louvers, rollers, sunblinds, protective gates, widows at home or office at your desirable time. Repair – if the product will be crashed, you can deliver the product to our office or call a craftsman at your home, office, at your desirable time. If possible, the worker will repair it locally.